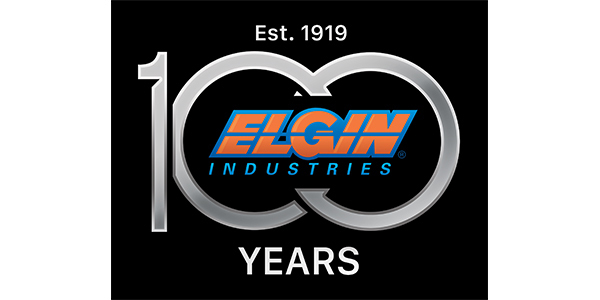 Elgin Industries, a leading global manufacturer of engine and chassis components for the original equipment, replacement and performance markets, is celebrating its 100th anniversary through a broad range of activities which began this week in conjunction with the Performance Racing Industry (PRI) Show in Indianapolis. A brief video and feature article documenting the company’s first century are now live at elginind.com. Founded in 1919 by Martin Skok, an apprentice mechanic who had traveled alone to the U.S. from Czechoslovakia at the age of nine, Elgin has grown from a single-line manufacturer to a fully integrated, broad-line supplier of components installed by global vehicle OEMs, production engine remanufacturers, machine shops, fleet maintenance businesses, automotive technicians and performance enthusiasts. Now under the direction of the third generation of the Skok family, the company operates state-of-the-art engineering, manufacturing, distribution and headquarters facilities in Elgin, Illinois, just a few miles from its original plant. Within a few years of its founding, Elgin had become a preferred supplier of piston pins and other precision-engineered parts to thousands of jobbers, engine rebuilders, auto dealerships and other customers. By the early 1930s, the company was manufacturing water pumps, steering gear sets, king pins and pistons. It also was a pioneer in the production of oil pumps for OE and aftermarket customers. In 1954, Skok’s son, Martin Skok Jr., became CEO, guiding the company over the next 50-plus years to leadership positions in the OE and replacement industries. He also expanded Elgin’s motorsports program, building and campaigning cars in national and international road races, stock car events and, most notably, the Indianapolis 500, where it captured one pole and finished fourth three times in 11 starts. Elgin today is one of the world’s premier suppliers of push rods, piston pins, king pins, rocker arms, timing components, suspension parts and other products. In addition, its Elgin PRO-STOCK brand is a leading player in the street performance and racing markets. The company’s Elgin World Trade division exports engine, chassis and other parts to customers throughout Central and South America, the Middle East and other regions. 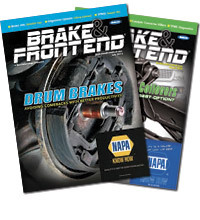 In the OE market, the company is a Tier 1 supplier to organizations such as Fiat Chrysler, Deere & Co., Ford, Polaris, Harley-Davidson, Mack and Navistar. To learn more about Elgin Industries, visit elginind.com.